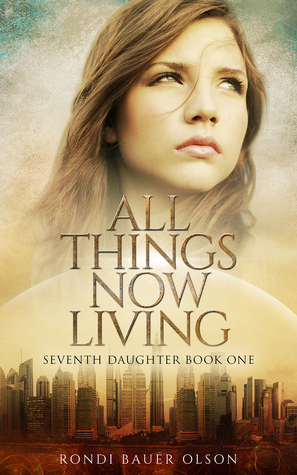 All Things Now Living (2017) by Rondi Bauer Olson is the first book in the Seventh Daughter series. This novel comes in all of forms including eBook, and is 253 pages in length. With a full-time job and a rambunctious five-year old at home, this novel took me four days to read. I received a review copy of All Things Now Living from the Litfuse Publicity Group. This in no way has influenced my opinion of the book. All opinions expressed in this review are my own. I give this story 3 STARS. This is a Young Adult Christian Dystopian story. I am a big fan of Dystopian novels and short stories. As an AP Literature and Composition teacher, I teach Dystopia extensively. I feel it’s a great way to discuss what’s really happening in the world today and get kids to think at a higher level. 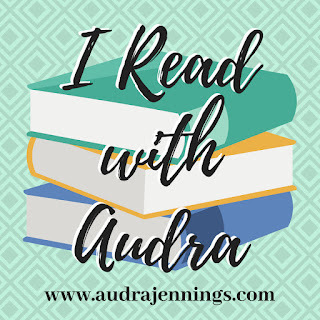 I have read, and taught, Brave New World, Anthem, and Oryx and Crake. Personally, I enjoy YA novels like The Hunger Games and The Divergent series. All this to say, when it comes to Dystopians, I know my stuff. 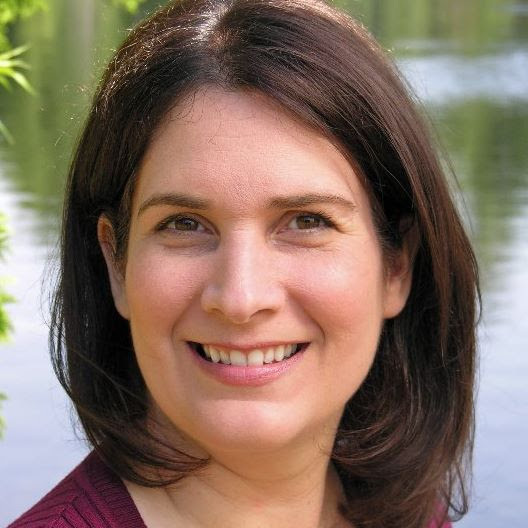 So, when I read the synopsis for this book, I knew I had to be a part of this blog tour team! The concept for this book is amazing: to save humanity from a deadly pandemic, one scientist, Allarice, decides to splice animal genes into the human genome, thus making the humans who accept this splicing immune, in a sense, to the deadly virus. You have two groups of people. One group says, “Yes, splice away!” The other group says, “Don’t you dare!” and evacuates Lithisle to get away from these animal-human hybrids. The group who stays and accepts the hybridization have encapsulated themselves in a dome in order to further protect themselves from the germs of the pandemic. But, 16 years later, the dome is going to fall apart. Those who didn’t accept the gene splicing believes the dome falling and killing all the animal-human hybrids is God’s intended wrath upon soulless, evil beings. But, as Amy (the 16-year old protagonist) gets to know the people under the dome, she starts to see that maybe the dome dwellers are not as evil and soulless as she has been led to believe. And, she comes to realize that the governments of both worlds (under the dome and outside of it) are not as separate as they originally appear to be. I mean, man, what a story line! The pacing for this novel is amazing. Pages flew by. It may be one of the fastest paced books I’ve ever read. But, I was so confused most of the time. The two worlds were bewildering. I would get into the story and feel like I had a grasp on the two different worlds, but then something would happen or someone would say something that didn’t make sense for the particular world they were in. There is no set up for the world of people who live outside of the dome, or in the dome for that matter. It’s just 16 years after a supposed pandemic that never gets discussed. For the outside-the-dome world, I assumed that these people left, the pandemic hit, and the survivors live in near squalor-like settings. Amy talks about scavenging for food and goods they can use, and she even talks about the old, run-down homes she passes, but then will have a cell phone. Wait, what?! So, there is technology in the post-pandemic world? How? I don’t understand. And, then in the domed world, where technology is insane and science has advanced beyond what Allarice first did in her original gene splices, Amy mentions a helicopter, and people think she is talking crazy. Again, what? How can someone with technology not know what a helicopter is? So, so confusing. And, it doesn’t really seem like anyone died from this supposed pandemic that happened 16 years ago. I am truly confused by this book. This style of one line paragraphs and simple-sentence dialogue is prevalent throughout this story. I wanted to scream. I can’t tell if authors do this in YA books because they are trying to mimic a teenager, or if they think teens need a simpler structure in order to understand. First, teens are not stupid and simple. They are highly complex organisms, and don’t need to be talked down to. And, second, teens don’t speak like this, especially if they are students in my AP Lit or honors courses. Personally, I find this style of writing really boring. It totally takes me out of the story. All Things Now Living is a faced-paced novel with a really cool premise, but it left me confused and frustrated. Hopefully, future books in this series will develop a bit better. I am sure there are young adults who will love this book, but for me there are just too many unanswered questions that should have been dealt with. There are too many confusions. And, the one-line paragraphs and simple dialogue kill it for me.